Me : Earphone jack could not work. I cant use earphone. Henry: Hello this is Henry with Amazon.com tech support, I would be more than happy to look into this for you today. May I have the name on the account to start? Me : hi, I'm Tonton（原文では実名） from Japan. Henry: Great to hear from you Tonton! I do apologize for the hard time you have had with the headphone jack, it is very inconvenient, I will do everything I can to get this taken care of today. Henry: Are you currently in possession of the device for accurate troubleshooting? Me : Thank you for your response. Yes, I have the device now. Henry: Great! Are you currently using the device with the issue to chat with me? Henry: Ah I see, Well for the best results for troubleshooting we would need you to contact us on a device that does not have an issue. Have you already attempted to use new headphones and see if they make a difference? Me : I tried some headphones but any headphones could not work. Also, there are no difference in any situations. Henry: Okay well thank you for that information. Henry: Do you have any other way to contact us? Me : No, I don't. This is the first contact about this issue. Henry: Okay, well the only other thing to try would be to try a power cycle on the chrome book. Have you already attempted that? Me : Yes, I already tried that troubleshooting. Henry: Okay let me see what else can be done in the situation. So other than this issue, how is your day so far today? Me : I tried some headphones. Then, I also tried bluetooth headphones. bluetooth headphones could work. 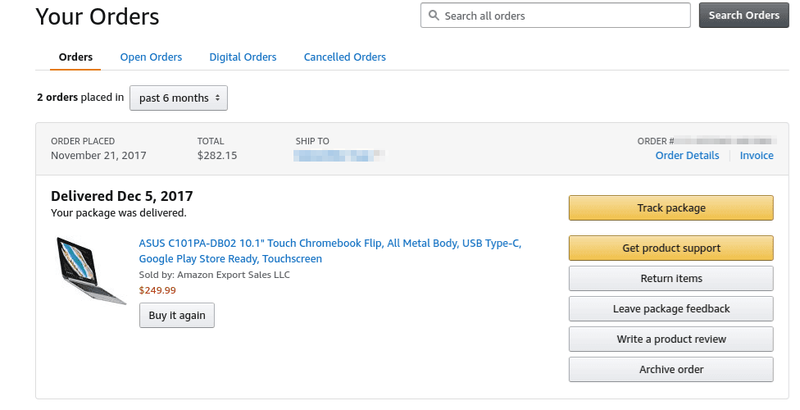 And, I checked all settings in my chromebook. Henry: Yes in this case it seems that you have a defective headphone jack. What I am doing is just going over some notes right now to make sure we take care of the situation in the best possible way. Me : Thank you for your kind supports. Could you tell me how can I do next? Henry: Okay so what I can do is get you a 15% refund on the laptop and you can keep it. The item is out of stock and for this situation I think it would be best for you. Me : Well, 15% refund is fine but I prefer to change new laptop if it could be possible. Henry: I did look into that because that is always the preferred most of the time. The primary reason that I did not not offer that is due to the laptop being out of stock so we do not have it anymore. 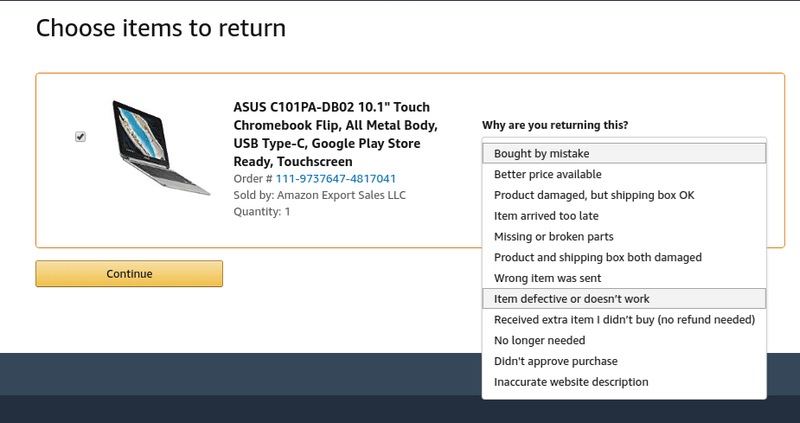 It may be possible that you could use the refund to get it repaired by ASUS or just use the Bluetooth feature. That sound okay? Henry: Tonton are you still there? Me : Yea I am. I'm afraid I'm just thinking. Me : May I have your 20% refund and the refund or to repair by ASUS? Henry: Well you would need to speak with ASUS about that, in no way can I set that up for you if it is possible. All I can do is get you the 20% refund. Henry: Also, I can get you a full refund on return as well. That way you can just get all the money back but we would need the laptop back as well. Henry: I don't mean to rush you, but we've been idle for 13 minutes. I want to make sure our chat is still connected. If you aren't able to respond in 2 minutes, this chat will close. Me : Well, if it be possible, I wanna get new laptop. I need the laptop for my work. Me : But I understand you don't have stocks. Henry: Amazon.com does not have anymore of these laptops available. 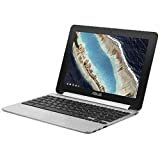 All of the laptops that are available on our site are owned and sold by vendors, not Amazon.com, the 20% discount and the full refund on return are the 2 best options for the situation. Me : Yes, I know. May I have 20% refund? Henry: All set! Is there anything else I can do for you today to help solve this problem? Me : Your support is great and thank you very much. 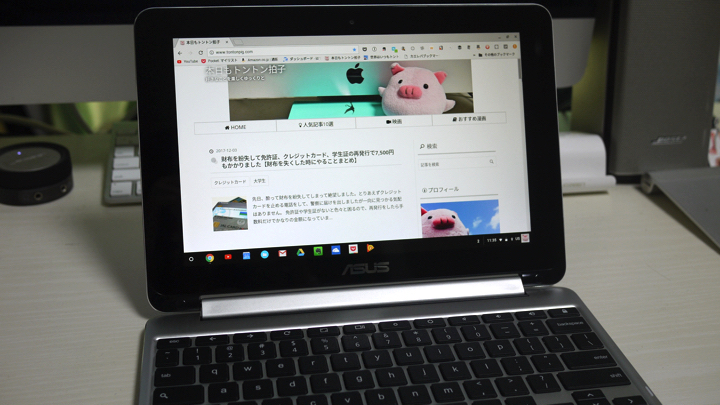 I will contact with ASUS. Where could I see 20% refund? Henry: It was my pleasure! You will have it in about 3-5 days back on your original payment method. Henry: Thank you so much for contacting Amazon.com today! I will have an E-mail sent to you that will talk about what we did today. Have a wonderful day Tonton! To close this window, please click the "end chat" link.